At the youth ministry of Embassy of Hope our purpose is to present the Gospel of Jesus Christ to this generation. We are committed to letting young men and women know that God created them with a unique purpose in mind. To let them know that even when the circumstances that surround many of them do not change, God’s desire is to change them, from the inside out. Our mission is to introduce young people everywhere to the truth of Jesus Christ, which is found in the Bible. God will reveal His plan for their lives through His Word. In Him they will find everything they will ever need. 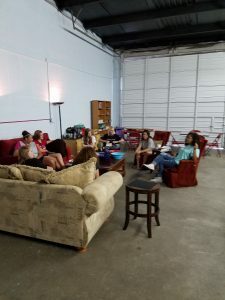 Youth and Teens meet every Wednesday night at 6:00 p.m.